There was plenty of activity at Bidford Community Library recently thanks to a new donation from local independent supermarket Warner’s Budgens to help develop community activities and groups at the library. 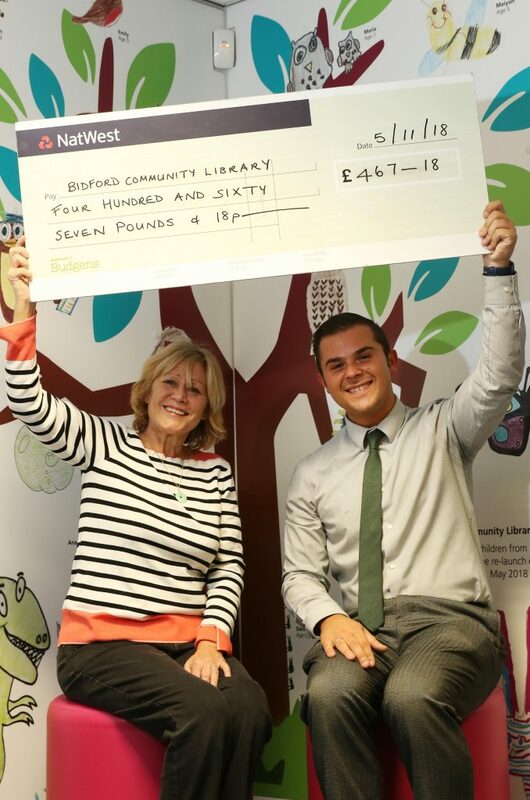 Over the last six months, customers at Warner’s Budgens in Bidford-upon-Avon have been supporting the library through the Warner’s Budgens Community Savings Scheme, and have raised almost £500 for the library to develop its network of community activities and groups. Every time a customer spends over £10 in store, they receive a Community Savings token which is then converted into cash for local projects. 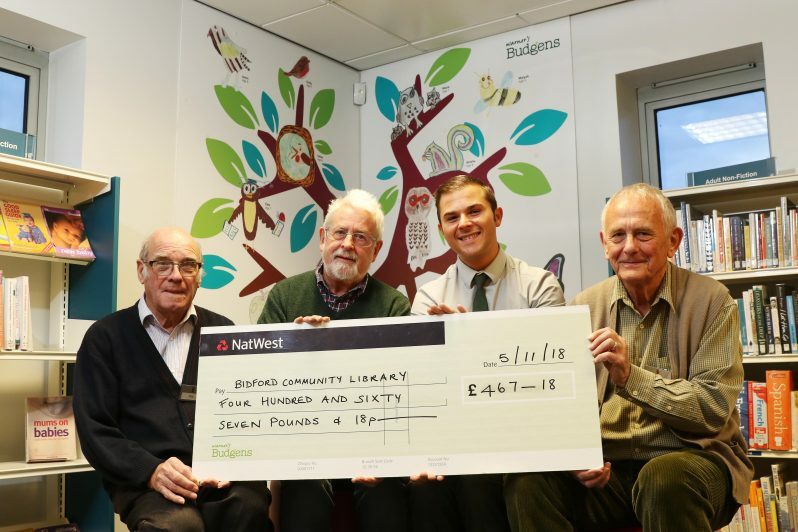 Since becoming a Community Library – run totally by volunteers, back in 2012, the library has received over £6,000 from Warner’s Budgens Community Savings Scheme. To officially re-launch the library after it’s refit earlier in the year, local children helped Warner’s Budgens design the ‘Reading Tree’ now displayed in the children’s area of the library. Top picture, left to right: Library Volunteers Phil Shorey, Jim Langridge, Warner’s Budgens Store Manager Jack Cross, and Library Volunteer Ian Wilson.